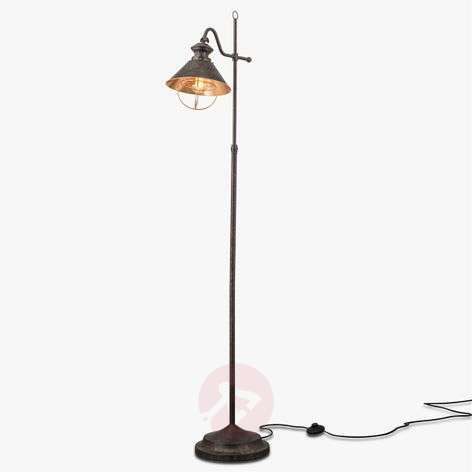 This floor lamp with its antique finish (in black copper and shiny copper) and rustic design looks to have come from a bygone era. Thanks to the pivoted joint between the lampshade and the arm, the direction of the light can be adjusted as required. 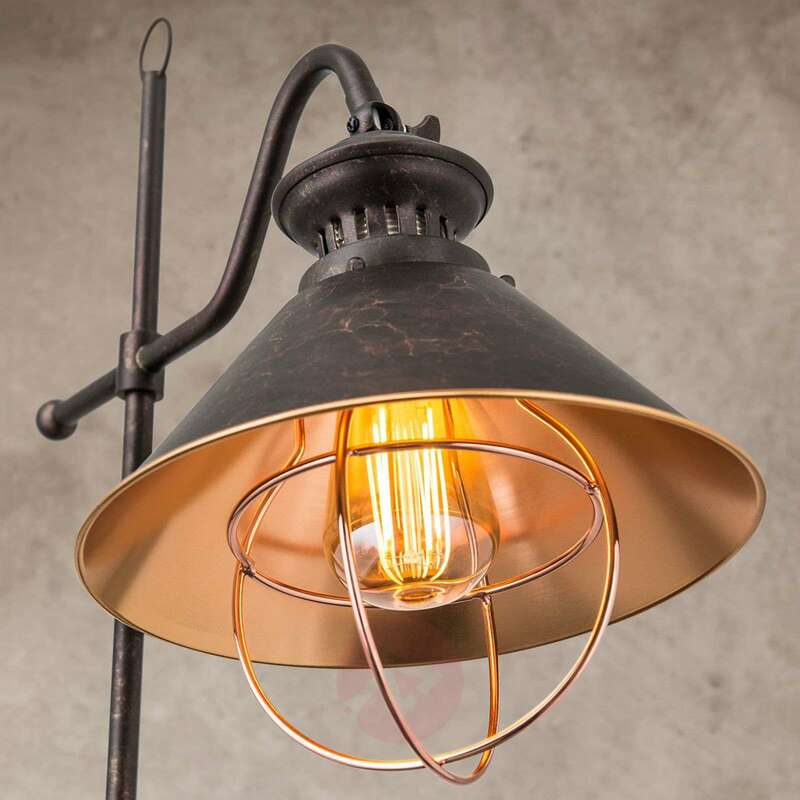 The glossy copper interior of the lampshade ensures that the light is distributed evenly and brightly. 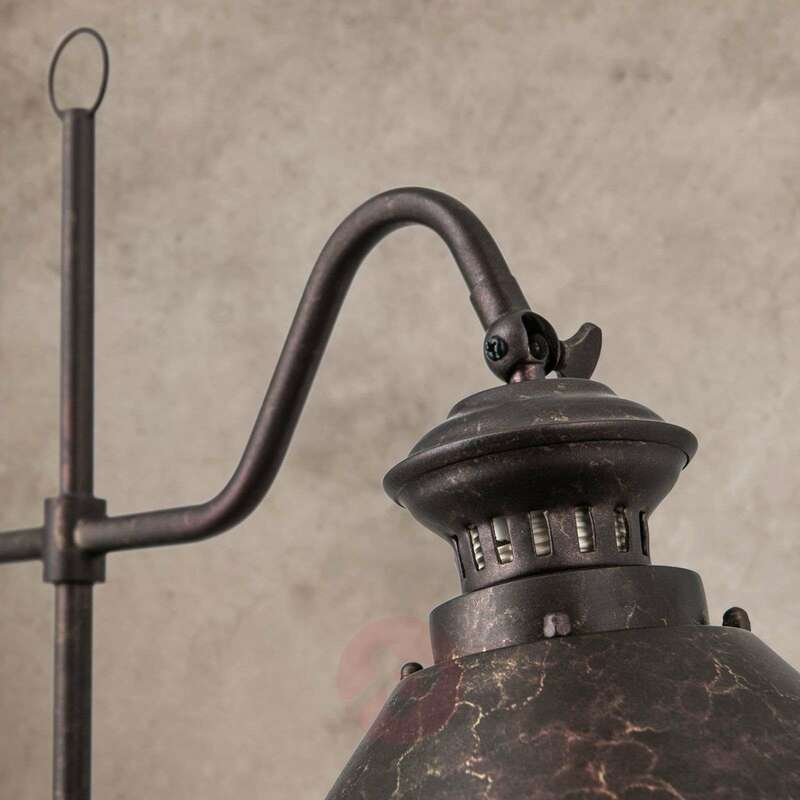 In order to emphasise the antique charm of this floor lamp, it is recommended that it be combined with a vintage light bulb. With a foot switch. There is no table lamp in this collection. 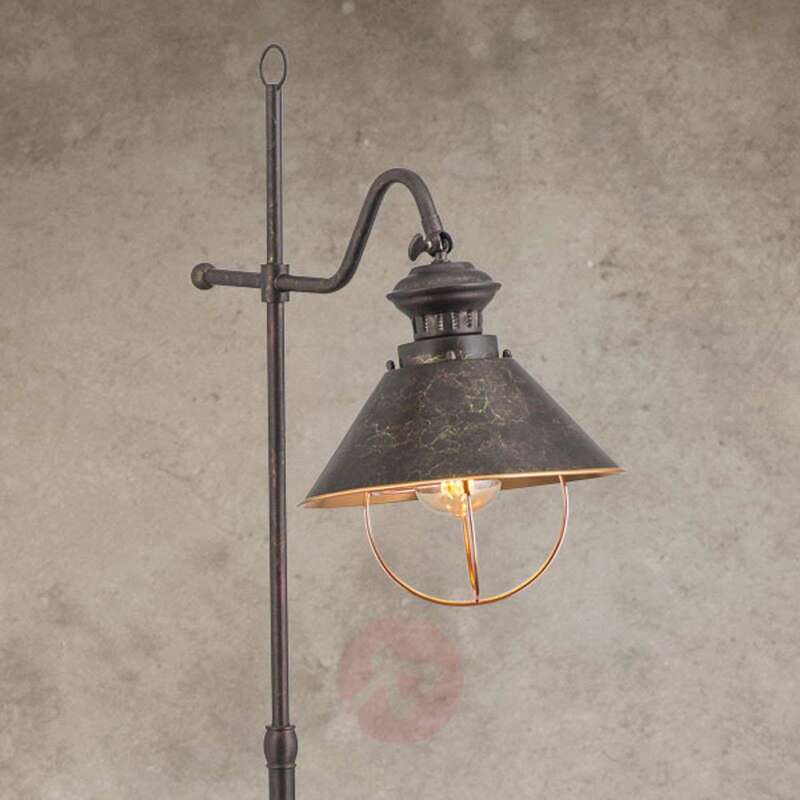 Is it possible to raise and lower the height of the actual lamp? thank you for your question. 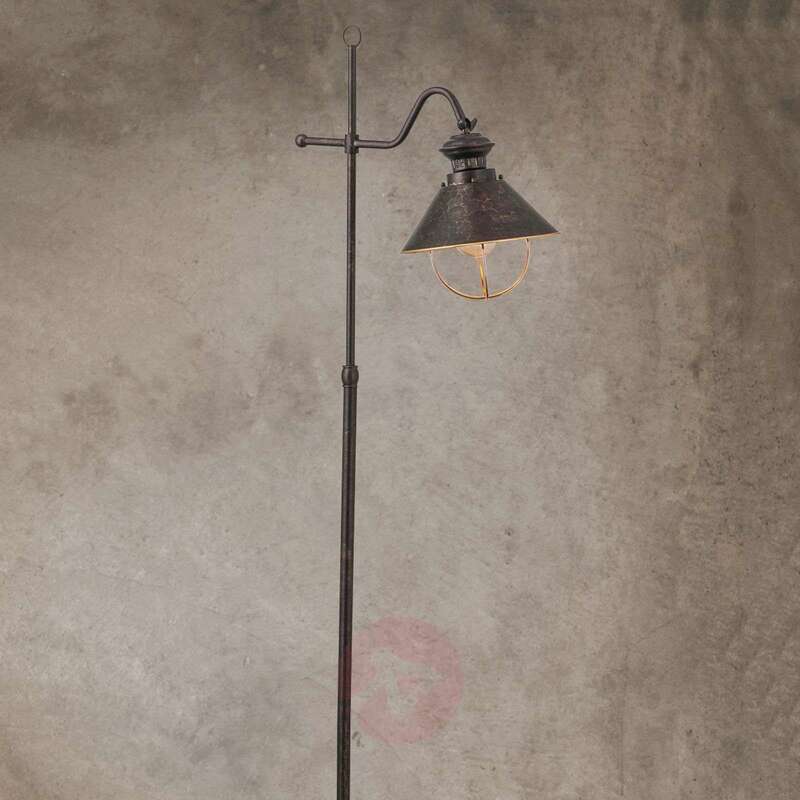 No, it is not possible to raise and lower the height of the lamp. Stylish lights that suit the room. Nice looking lights, good quality. We also have matching wall lights.